Professional Services Now Offered by Virginia Toolworks! I am pleased to announce that Virginia Toolworks is now offering professional restoration, identification, and valuation services at very competitive prices! While the primary focus is, and has always been, on vintage hand tools, I also offer restoration of faded and damaged photographs, as well as cosmetic restoration of firearms. 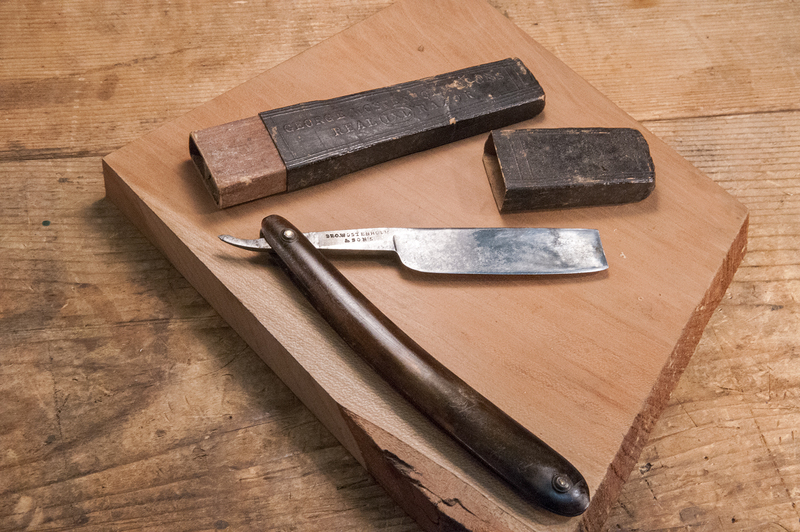 Tools – Adhering to the archival principles of restoration that have always been the foundation of Virginia Toolworks, we now offer archival cleaning and rust removal, and tuning and sharpening (if desired), with starting prices as low as $25. For more information please see the Services Page. Photographs – With 35 years of experience as a photography enthusiast, including considerable darkroom exposure (see what I did there?) before transitioning exclusively to digital approximately 16 years ago, I offer digital restoration of old damaged and faded photographs with prices starting at $50. Examples of my work can be viewed on the Photo Restoration page. 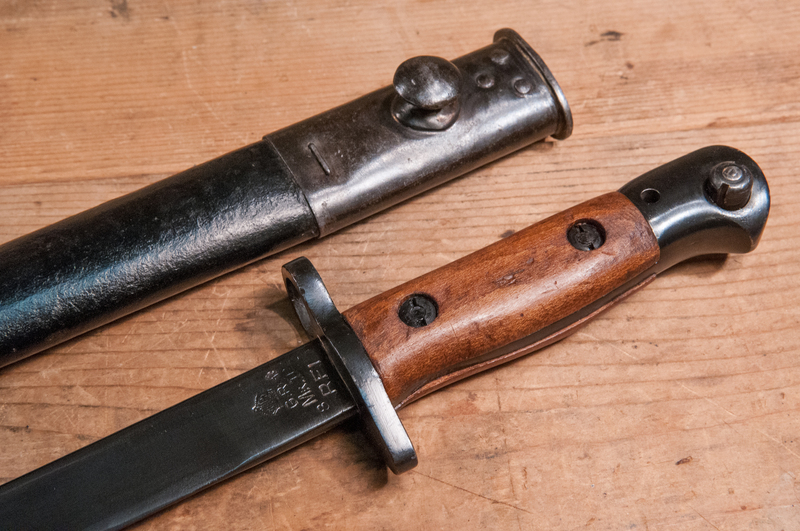 Firearms – As most followers of this blog have seen, I occasionally do restoration work on firearms. This work is primarily cosmetic – I am not a gunsmith. I offer cleaning of the action, restoration of wood, and light (cold blue) refresh of metal surfaces. I can also help with missing parts. However, to verify or ensure safe functionality before firing, you should see a qualified gunsmith for a safety inspection. Virginia Toolworks now provides written valuations (retail value) and historical research at a rate of $50 per hour with a one hour minimum. For more information on Valuations, please see the Valuations/Appraisals page. For more detailed information on these and other services provided by Virginia Toolworks, please see the Services Offered page. For those of you who have followed along, I finally finished up the Lee-Enfield this past weekend, and I’m pretty pleased with the results. To recap, this rifle was given to me by my father-in-law back in early January. It’s a Lee-Enfield SMLE (Short Magazine Lee-Enfield) model No. 1 MKIII (.303 British caliber) produced at the Birmingham Small Arms Co. in England in 1940. 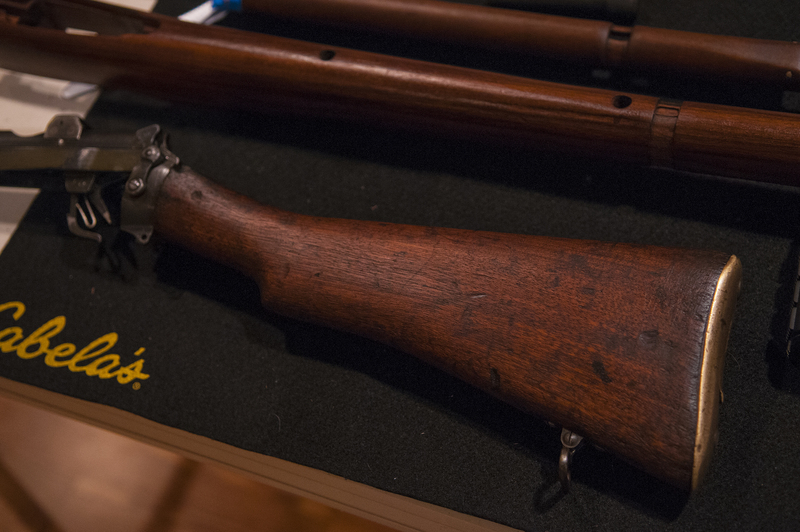 Lee-Enfields were manufactured from 1888 to the early 1970s, and total production was nearly 14 million rifles. This one appeals to me because it was made in England during the Battle of Britain, and shows evidence of actual deployment in combat. The WWII No. 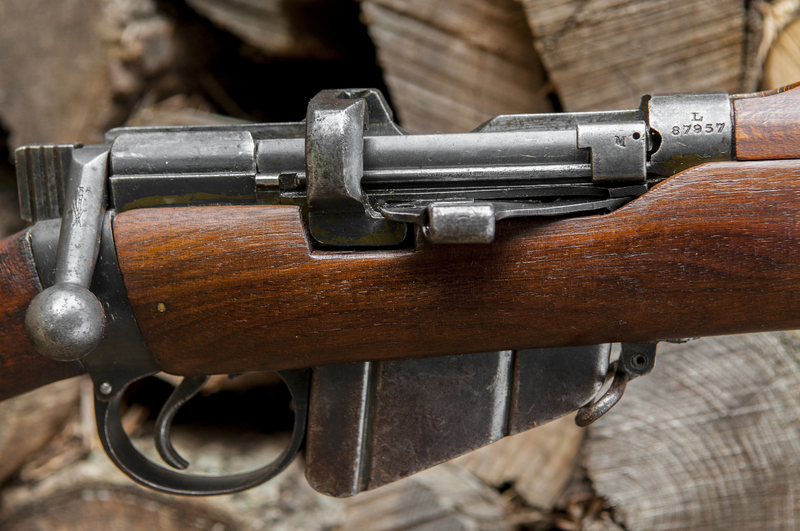 1 MKIII rifles are plentiful even today, and not particularly valuable. I probably exceeded the value of this one in the parts alone that I purchased, but I didn’t restore it to sell. It’s a keeper and a shooter that will be enjoyed and passed down. As it happens, the first high-powered rifle I ever shot as a kid was an old WWI vintage Enfield that belonged to my uncle. I remember that .303 kicked like a 12 gauge. I may even still have that first casing somewhere in a box of my childhood stuff. As I wrote in earlier posts, the rifle had been ‘sporterized’ at some point, or at least someone started that process. Unfortunately, this was a popular practice in the post war years. The guns were plentiful and cheap, and guys who bought them apparently preferred the look of a traditional hunting rifle. 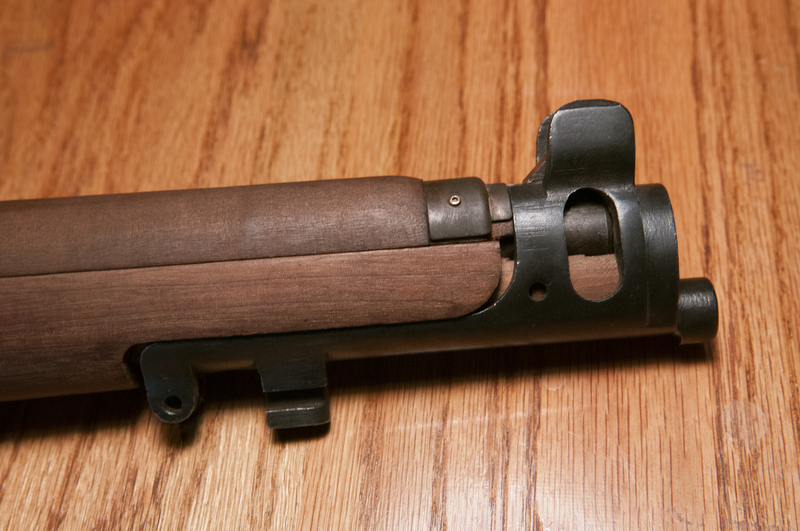 Since the Enfield featured a barrel fully shrouded in wood, sporterizing them usually began with removing the nosecap and hardware, the upper hand guard, and cutting off the front part of the forestock. 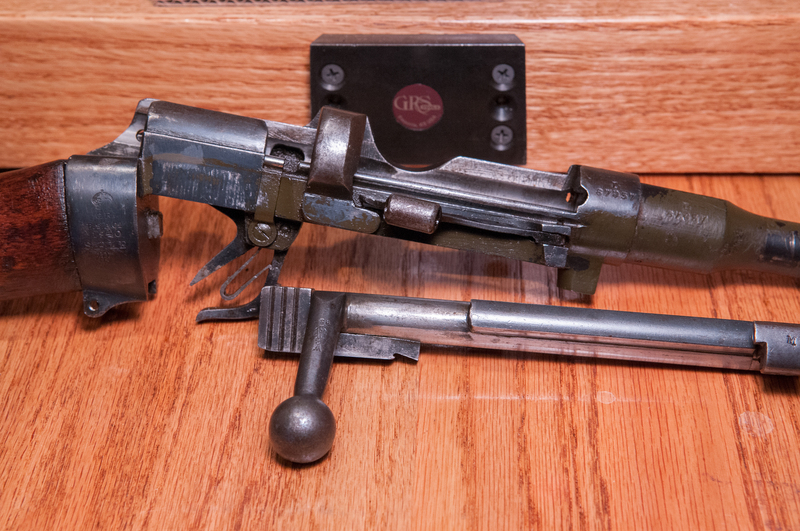 Sometimes the rear sights were removed or altered to accept a scope, but fortunately the bubba who hacked away at this rifle didn’t get that far. The forearm on this rifle had been cut just behind the swivel band. The entire nosecap assembly at the front was missing, along with the swivel band, forward swivels and a variety of related hardware, and the upper hand guard. The rear hand guard was still there, but its ears had been cut off and so it needed to be replaced. It appeared all of the remaining wood on the rifle was scrubbed with a heavy wire brush, leaving the surface pretty rough and scarred with brush marks. All of the original finish was long gone. After the initial disassembly and inspection, I was happy to find the action and barrel in surprisingly good condition. Areas of rust were minimal and superficial. All the serial numbers thankfully matched, so I knew everything was likely original. The action and barrel had significant areas of olive drab paint, which I discovered was routinely applied to rifles used in tropical climates during WWII to help prevent rust. I was careful to leave that intact. I was able to identify and source all the missing parts without too much trouble. Since there was such a long bedding space on the Enfield’s full length forestock, I decided to go with an unissued but old forestock and hand guard assembly. With so much hand fitting required, I didn’t want to take a chance on a stock that had already been on another rifle. I may have been misguided in this assumption, but that’s what I did. I left the original buttstock on the rifle since there was no need to replace it other than the aesthetic contrast between it and the new wood. I preferred to keep the rifle as close to original as possible. 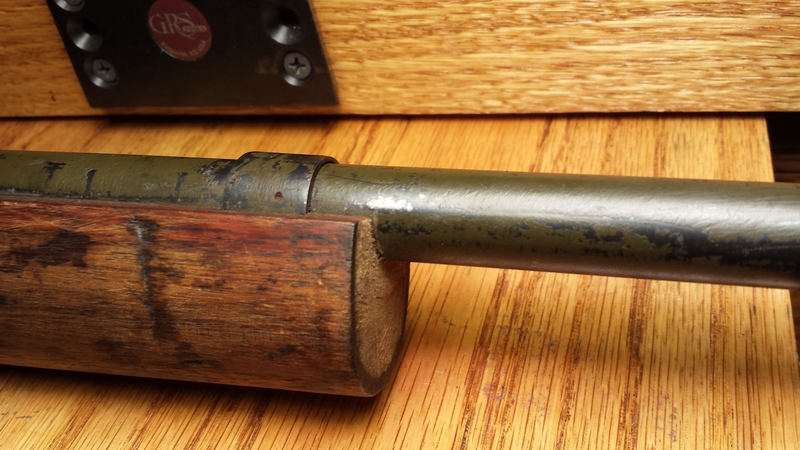 The new wood required quite a bit of fine tuning and adjustment to get it to fit the receiver and barrel correctly. 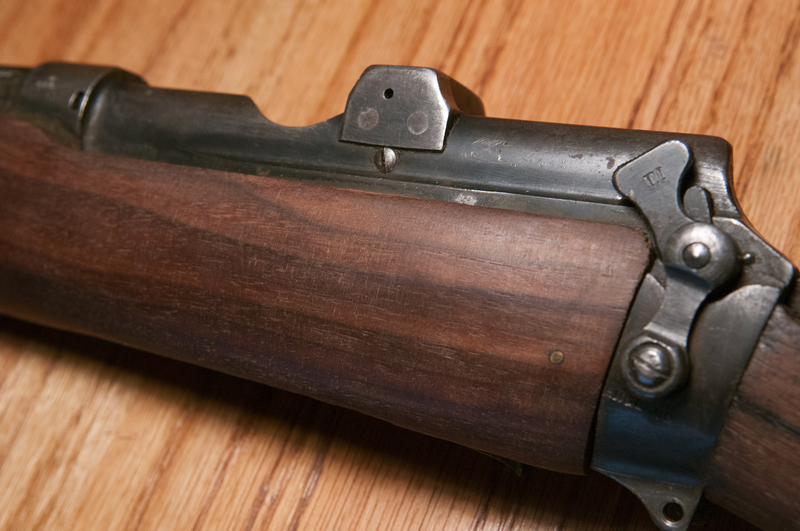 There are several fairly critical areas on Enfield rifles where the wood needs to fit very flush against the metal, so the work was slow and cautious. With so many parts all needing to come together and a half-dozen attachment points that all had to be aligned, I spent more than a few hours wondering why I ever started this project. But in the end, it all finally came together and I feel really good about the fit. It seems to fit like a glove where it’s supposed to, with the appropriate generosity in the other areas where called for. Of everything on the rifle, the nosecap I sourced ended up being the most difficult part to get properly installed. Initially the upper hand guard sat too high for the nosecap to slip over it properly. That required carefully reducing the height of the guard along its full length, but not so much that the top of the barrel would bottom out preventing it from seating against the forearm. Once that problem was resolved, I then found that the screw holes through the forearm were just lightly out of alignment, preventing the front nosecap screw from engaging the threads on the opposite side of the nosecap. Eventually, with a lot of patience and careful filing, everything fell into place and the wood was ready for the finish. While not the most practical by today’s standards, I wanted to keep this rifle as true to original form as possible, and so went with the tried and true linseed oil finish. This is what was used when the rifle was made. Since boiled linseed oil is chemically different, I used raw linseed oil. Or at least I assume it’s raw. I had a can of artist’s grade linseed oil that I bought when I was in college 30 some years ago and never opened. I cut it with 50% turpentine to help ensure it would dry sometime this decade. Following the old adage, once a day for a week, once a week for a month, I’ve applied about 8 ‘coats’ and the results look great. The wood has a nice rich low luster and even the contrast between the new wood and the old stock doesn’t jump out too much. I completed the restoration with an original WWII vintage Enfield sling, also dated 1940, that I found on eBay. 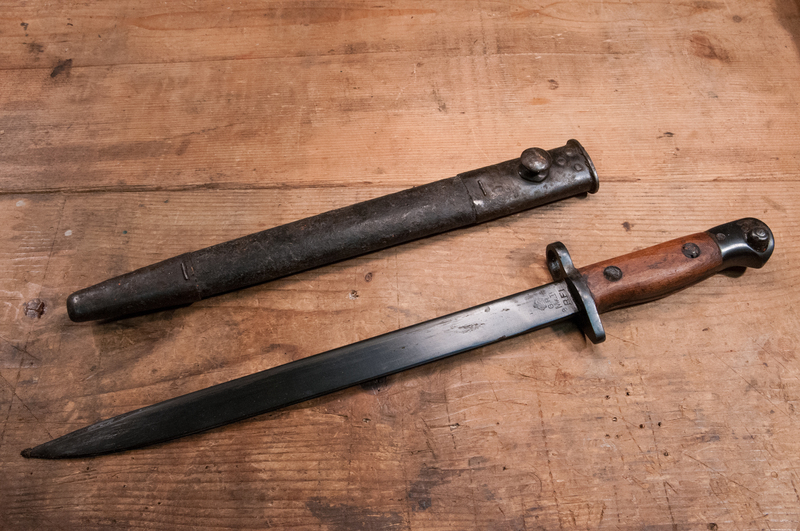 That and the war vintage bayonet I previously wrote about are the icing on the cake. Not that I need a bayonet, but it’s in unissued condition and the price was too good to pass up. I’m looking forward to putting a couple dozen rounds down range sometime in the next few weeks. I found this straight razor in some old family stuff. It’s German made and pretty nice quality, even if in rough shape. I cleaned it up a little and photographed it to sell. However, when I processed the photo in Photoshop, I saw in the enlarged image a name faintly inscribed in the tortoise shell handle. So I got out my trusty magnifier and found the name “W P Bryant” very nicely (and lightly) inscribed in a fine script. I immediately realized that this razor belonged to my great uncle. W P stands for Walter Paine, and Bryant is the family surname for which I am named. Now Walter was a sad story. He was my grandmother’s brother and a dreamer and want to be entrepreneur. Unfortunately, he killed himself in 1908 when he was about 26 years old (as I recall). If anyone in the family every knew why he did it, it was never discussed. He spent an evening with friends, went home and shot himself. So, I won’t be selling the razor. I’ll just add it to a shelf with all the other stuff I can’t bring myself to part with. 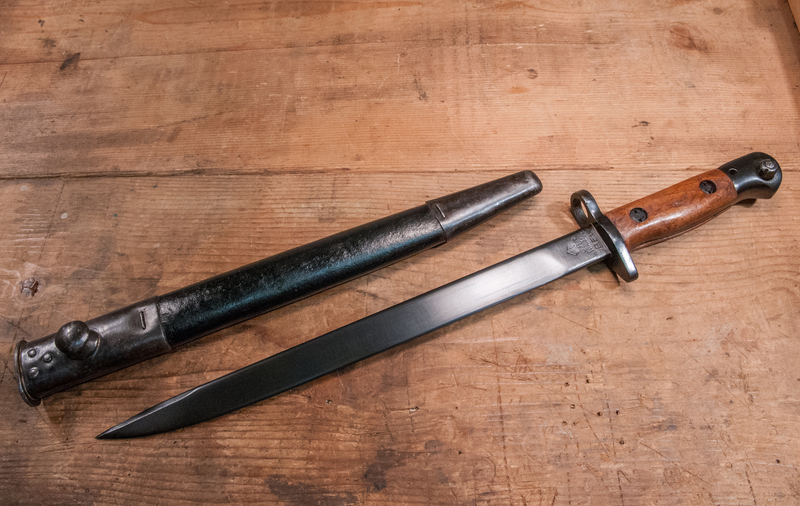 I bought this WWII vintage Enfield Bayonet to go with the rifle, because… well… who doesn’t want a bayonet? This one is date stamped 1943, so it was made three years after the rifle, but it’s period correct and close enough. Besides, it was never used and still caked in 70 year old cosmoline. As you can see below, while the bayonet was in pristine condition, the scabbard looked pretty rough. As I’m prone to do, I researched how best to clean leather scabbards, and of course came up with a whole lot of opinions that varied considerably. In the end, I decided to use saddle soap. The scabbard is 70 years old and will never again see a hard life, so I don’t think saddle soap is going to do it much harm. Starting with the bayonet itself, I used mineral spirits with a cotton rag and toothbrush to clean the cosmoline off the metal surfaces. Using a non-abrasive brush ensured I didn’t scratch the bluing, which is absolutely perfect. The cosmoline melted right away and I was quickly rewarded with a stunning mint condition WWII vintage bayonet. If the wooden scales ever had any finish on them, it was long gone, so after everything was dry and wiped clean, I rubbed them down with some of the linseed oil finish I’ve been using on the stock. The rest of the metal surfaces got a wipe with Kramer’s Best, which is a linseed oil, turpentine, and vinegar based solution that is an outstanding wood and metal conditioner. The scabbard required some additional care since most of it is comprised of hard leather. I cleaned the metal surfaces first, removing the cosmoline and leaving the natural patina of the metal. Then I went to work on the leather surface itself using the saddle soap. It was a very slow process with little apparent progress at first. After a half dozen or so cycles of applying it, wiping it off, buffing it out, I felt like I had reached a point of diminishing returns. At this point the leather was sufficiently clean, but very dull in appearance. So I went out on a limb and rubbed it down with shoe crème (not shoe polish). The shoe crème has always been recommended to me by the place that sells Allen Edmonds. It’s basically a leather conditioner with some black dye. It has no wax so it lends itself well to subsequent treatment. I also doesn’t shine like wax, which is perfect in this case. The result, which you can see in the image above as well as below, is pretty remarkable. It’s hard to see in the photos, but the leather looks like it’s brand new. Yours truly is a happy camper, and I’m looking forward to seeing my boys’ reaction to the transformation. I’m cycling through the daily application of oil on the rest of the rifle’s furniture, and in fact think today is probably the last one. I may just go ahead and reassemble the whole thing tomorrow and make sure everything fits properly. I only wish I’d done a better job of labeling all those parts on my work table. 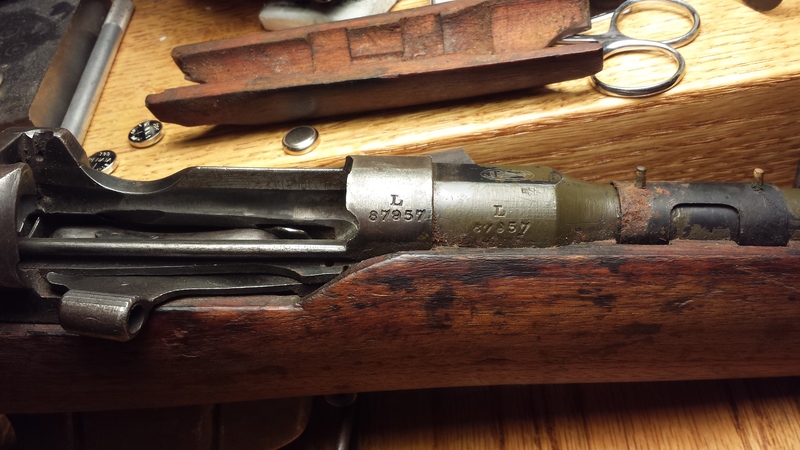 It’s been a couple of months since I first wrote about restoring the old 1940 vintage Lee Enfield no. 1 MKIII rifle. (See the earlier post) I managed to source all of the missing parts, including a new forearm and hand guard set. I found an unused set of unknown date, but I figured I’d be better off fitting a new stock than buying an old one and hoping it would fit properly. Enfields, especially the no. 1, are notoriously finicky when it comes to proper stock fit. In the photo above, you can see the rifle in its original, butchered forearm. The lower forearm was cut off and the hand guard discarded, along with the entire nose cap assembly. The new replacement stock, forearm, and hardware are shown above the rifle. The new wood appears darker in the photo, but once I work on the buttstock a little and the oil finish is applied, I think it will look okay. After removing the entire lower forearm, I found that the action in excellent condition. There was a couple of traces of light rust, but nothing of any consequence and no corrosion damage. I tried to remove the buttstock, but the screw that attaches it is deep inside the stock itself, and requires a very long screwdriver. Unfortunately, the screw is locked up pretty tight, and rather than risk buggering up the slot, I decided to just leave it on and refinish the stock in place. The first order of business was fitting the new stock. It wouldn’t seat at all on the first try and required some fine tuning to get it to slide over the receiver. Going slow, I had it properly adjusted and fitting like a glove in short order. Moving on to the upper hand guard, I had to take a little off the inside of the ears to get it to slide easily into place around the rear sight. This is not supposed to be a tight fit, and I may have to take a little more off after it’s finished. With everything looking good, I put both forearm and hand guard in place and slipped on the nose cap for a dry fit assessment. As you can see in the photo below, the upper hand guard sits too high for the nose cap to slide on properly. Using some folded paper, I was able to determine that I had about 0.5mm of surplus height within the hand guard to work with. By sanding the bottom edge of the hand guard on my trusty flat granite sharpening surface, I reduced the height enough to let that nose cap slide into place. Everything looks good at this point, so onto cleaning the action and applying the finish. All of the wood on this rifle was stripped at some point in its past and scrubbed with a heavy wire brush, leaving a lot of marks in the wood. I lightly sanded the worst of these marks, but didn’t want to lose all the character of the wood, so I really did just enough to open the grain a little for the new finish. At this point, I went ahead and cleaned the action and barrel thoroughly. There was some crud, but not as much as one might expect from a gun this old. Thankfully, I think the gun was cleaned after it was last shot, so it didn’t take a whole lot of effort to get it looking good. I decided a while back to use the original type of oil finish that was applied when this gun was made (or as close as I could reasonable come). In WWII and earlier, most military gun stocks were finished with linseed oil, or something close to that. Although not very effective against the elements, it is very easy to maintain. Rather than use Boiled Linseed Oil common today, which is modified with petroleum distillates to speed drying, I’m using artist grade linseed oil, which I assume is basically raw oil. I happened to have an unopened can that is about 35 years old and it doesn’t specify. Starting with a 50/50 ratio of oil to turpentine (to help it dry), I began applying coats with 4-0 steel wool. I really hate steel wool. It just makes a mess with steel wool fibers everywhere. I abandoned the wool after the first application and just rubbed it on by hand after that. Using the old adage, once a day for a week, once a week for a month, and once a month for a year, I’m on day three and the wood looks fantastic. I don’t think I’m going to go for the full seven applications. This morning I upped the ratio of oil to turpentine to about 70/30. If it doesn’t dry within 24 hours or so, I might add a little japan dryer to the next batch. The next update will cover cleaning up the 1940s vintage bayonet I found for this gun! Years ago after graduating from college, I wanted to pursue a career that would allow me to do something creative, something hands-on. There were a lot of directions I could have taken, but I had a unique opportunity through a family connection to apprentice with a 3rd generation Greek goldsmith who had recently immigrated to the United States. It was a small family business, and they specialized in designing and fabricating custom jewelry entirely by hand. I knew nothing about jewelry or metal work, but after my first day I was completely hooked. My apprenticeship lasted 2 years and 3 months before I moved on to a new opportunity. That’s not a lot of time considering it easily takes 8 to 10 years or longer to become truly proficient as a bench jeweler. As it turned out, my career path led me away from jewelry bench-work as a daily profession. However, I never completely gave it up, and some years later was able to outfit a small shop with the tools and equipment needed to make enough jewelry to keep the female members of my family content. 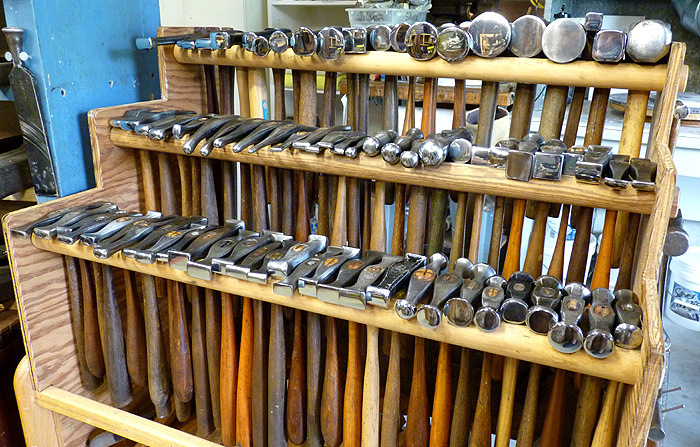 The vast majority of the vintage tool market focuses on tools for woodworking. 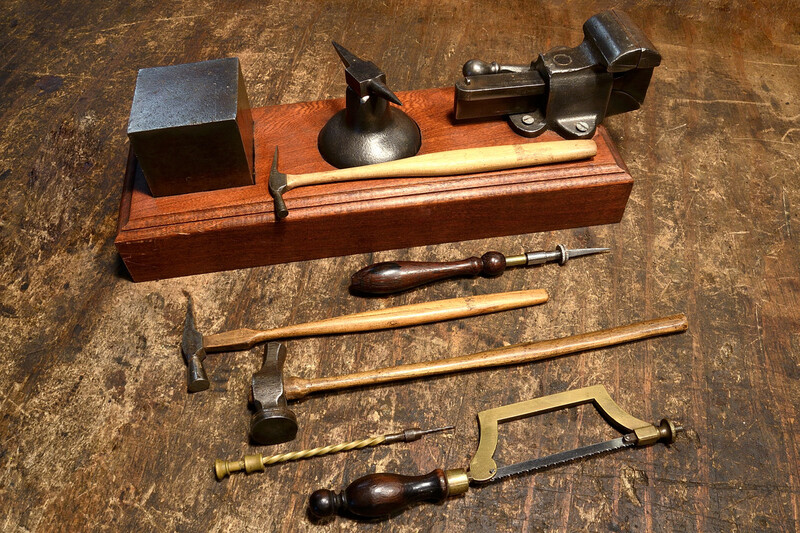 Yet while many modern woodworkers use power tools more or less exclusively, silversmiths and goldsmiths still use hand tools for most of their work. While electricity has added considerable convenience, many of the hand tools used by gold and silversmiths today haven’t changed substantially in a couple hundred years or longer. For tool junkies like you and me, that opens up a whole wealth of fascinating and elegant tools for us to appreciate. 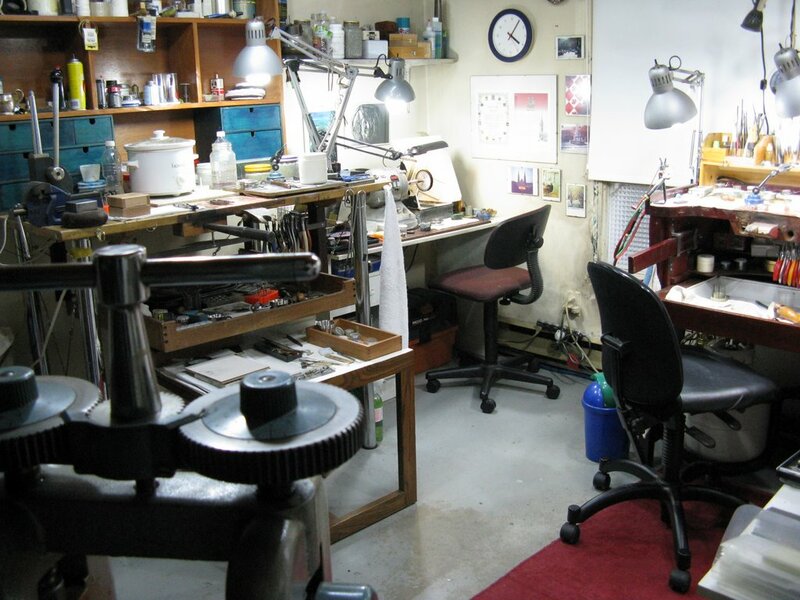 Not at all unlike a woodworkers bench, a goldsmith’s, silversmith’s, or engraver’s bench is the centerpiece of his work space. It is my understanding (through my training) that the craftsman traditionally constructed his own bench. I honestly don’t know if this is true or not, but given the typical complexity of such benches and the fact that they are so uniquely and uncommonly personal to the individual, it would not at all surprise me. Commercially made benches are available today through jewelry tool distributors like Gesswein and Rio Grande, but they tend to be too lightweight and of mediocre construction for anything more than occasional use. I built my bench about 10 years ago (shown at the right). I designed it specifically for my height and work style, with a 3-1/2″ thick butcher block top of solid oak. Weight is important in these benches – heavier is better. You can see in the photo there are three tool/supply drawers, and below them two very wide and shallow drawers. These are lap drawers that catch the metal filings as they fall, extremely important when working with precious metals. The filings and scraps are all collected and sent to a refinery for reclamation. Even old sandpaper is saved. I built my bench with two lap drawers for convenience and practicality, as I often work on more than one project at a time and sometimes work with both precious and non-precious metals. It’s better to keep the two separated. Naturally, if I had it to do over I would do several things differently. The drawer face on the far left doesn’t match the other two very well, and it bugs me. I also made some stupid mistakes with some of the framework, but all aesthetic. I was so consumed with the functional aspects that I didn’t give enough thought to how it would all look. In terms of breadth and depth of assortment, woodworkers would be hard pressed to compete with the average goldsmith or silversmith for quantity of tools. In addition to files of various shapes and sizes, there are any number of pliers, hammers, saw blades, hundreds of rotary tool bits, polishing wheels, bench blocks, mandrels, staking tools, torches, tweezers, magnifiers… the list goes on and on. 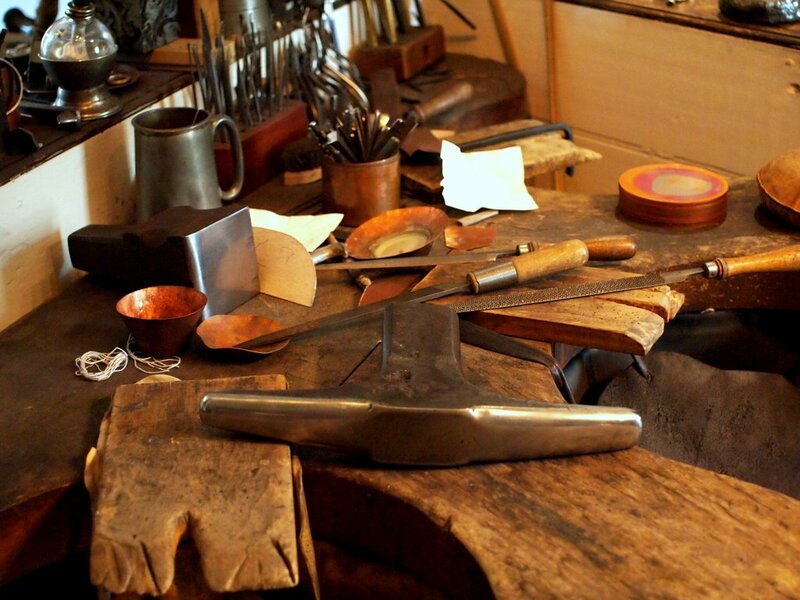 Further, like blacksmiths, goldsmiths and silversmiths must make many of the tools they use. Fundamental to virtually every bench is a wooden bench pin, steel bench block, jeweler’s saws, pliers, hammers and files. The bench pin is a wedge-shaped block that protrudes from the front of the bench and serves as a support for filing and sawing, as well as a leverage point for everything else. Steel bench blocks sit on top of the bench, are dead flat, and serve as all-purpose platforms for flattening and shaping softer precious metals. Jeweler’s saws come in a variety of depths. The interchangeable saw blades are positioned with the teeth pointing toward the handle, so they cut on the down (or pull) stroke. 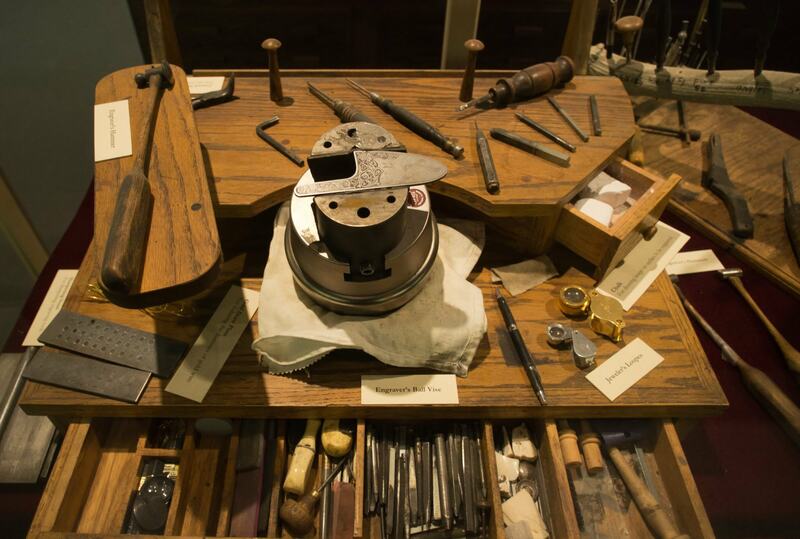 Because they are used for precise work, jeweler’s tools tend to be precision tools. Measurements are typically in tenths or thousandths of a millimeter, and when working with metals that cost almost $2,000 and ounce, material efficiency and waste reduction is an obsession. Every precious metal dust particle is quite literally considered and every effort is made to recover as much as possible. Smiths also use a variety of heavy shop equipment depending on the manufacturing techniques they employ. Rolling mills like the one shown here roll out sheet stock and wire to be used in fabrication. It is a slow and laborious process. 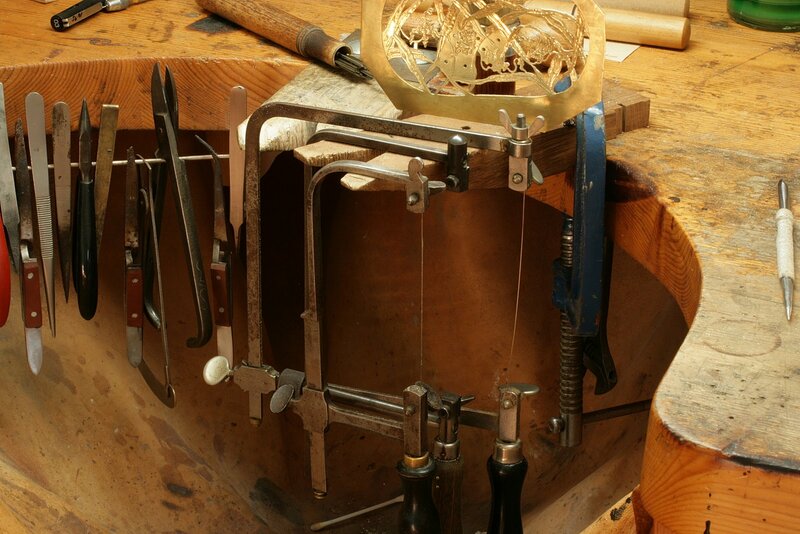 Some jewelers use casting equipment to cast wax models into gold, silver, or platinum. The wax model is encased in plaster with an attached sprue. The wax is melted out leaving a cavity in which the liquid metal is injected through either a vacuum or centrifugal force. Production shops use CAD computers, computerized crucibles and casting machines, and laser soldering devices costing tens of thousands of dollars. Alongside every goldsmith bench is a small torch. Since my bench is in my home, large propane and oxygen tanks were not an option, so I constructed a portable tote for the small disposable tanks available at hardware stores. This works fine for soldering jewelry, but for melting metal or larger jobs, a standard size setup is necessary. 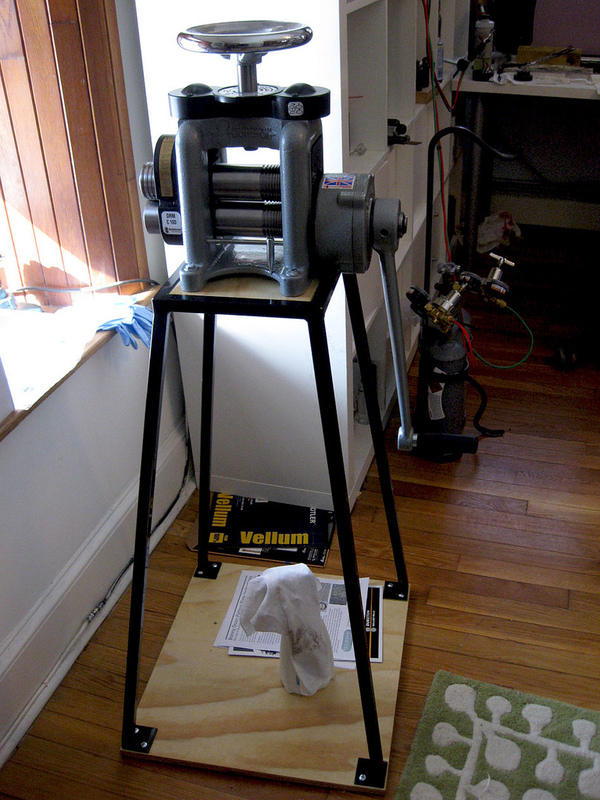 Every metal worker needs a polishing machine, and mine is typical of those found in smaller shops. It is a floor standing model with hoods and a powerful dust collection unit. This not only keeps the work space cleaner, but captures most of the particulates, which are comprised of a surprisingly high percentage of fine metal material. This too is sent for refining and metal reclamation. 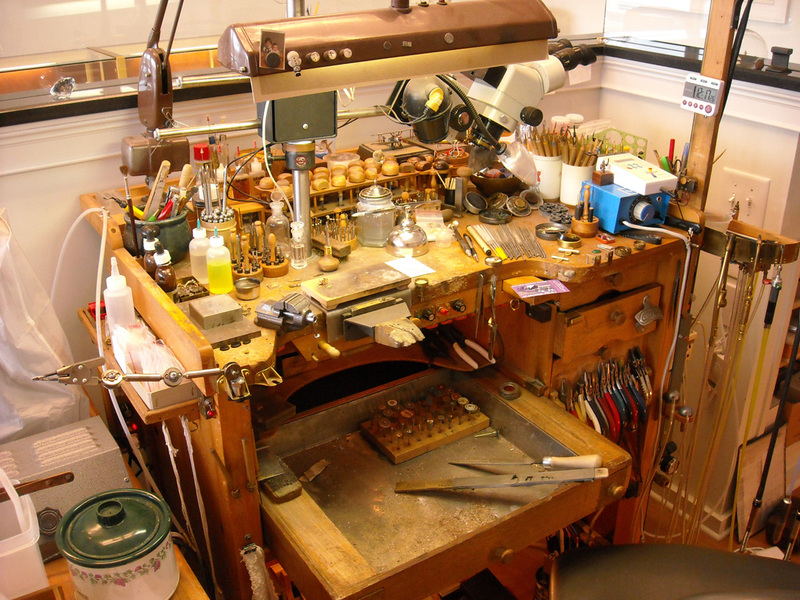 An engraver’s bench is virtually identical to a jeweler’s bench. However, an engraver will have a special ball vise that rotates 360º as he works. His tools, called gravers, have profiles of different shapes and thicknesses, much like wood carving or turning tools. Before he begins cutting metal, the engraver typically applies china white, a chalk-like substance that let’s him draw on the metal. The intended design or inscription is very carefully hand drawn, and the engraver then follows the lines with the gravers, removing thin metal curls. Some gravers are used for letters, others for outlines, and others still for removing or defining the background. Like goldsmiths and silversmiths, engravers spend many years, even decades, mastering their craft. It is a beautiful and dying art. You might be surprised to learn that many of the tools used by engravers are also used by stone setters. As mentioned above, gravers are used to remove metal. In certain setting styles they can also be used to create beads that form prongs for gemstones. Pavé settings start with a drilled hole that is then tapered with a small bur shaped much like a counter-sink bit. “Prongs” are then engraved up from the surrounding metal to form a tiny bead that covers the edge of the stone. Now, if you think that sounds complicated, consider this… because Pavé settings feature many stones in extremely close proximity, each bead is formed to cover the bezel of not one or two, but three adjacent gemstones. This type of setting is extremely precise and requires extraordinary skill. Watchmakers are an entirely different breed; the level of precision required of a true watch maker is unparalleled. The market today is dominated by disposable quartz movements, so old-fashioned watchmaking is a dwindling profession. There are only a handful of companies at the very highest end that even still make mechanical movements. Sadly, fewer and fewer young people are willing to invest the time it takes to become proficient to work on mechanical watches. While the earning potential for the highest skill levels is significant, entry-level workers are not highly compensated. 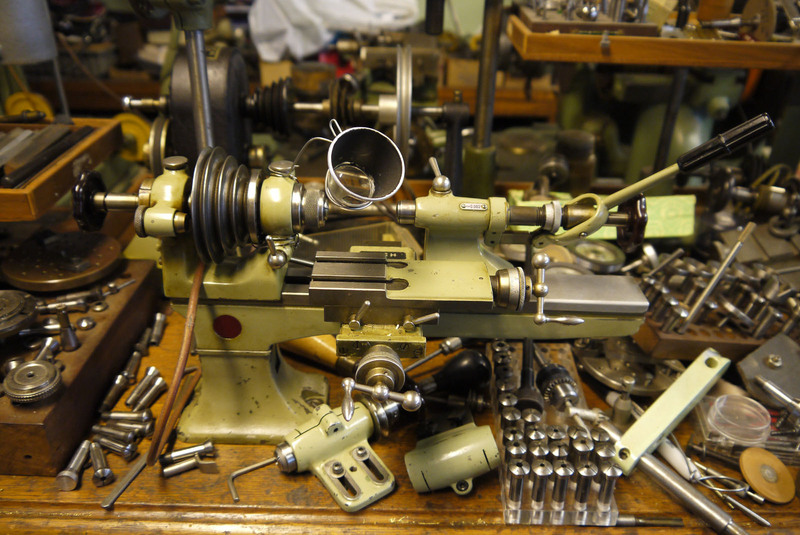 Watchmakers employ a dizzying array of tools, parts, and devices. The traditional centerpiece to the watchmaker’s bench is the lathe (shown in the photo above). Employing many of the same skills and techniques of the goldsmith, watchmakers demonstrate proficiency in the fine jewelry arts as well as the mechanical skills required to build and repair watches. It’s not surprising that so many individual jewelry proprietors of the last century were generalists in this regard, working on both jewelry and watches as a service to customers. 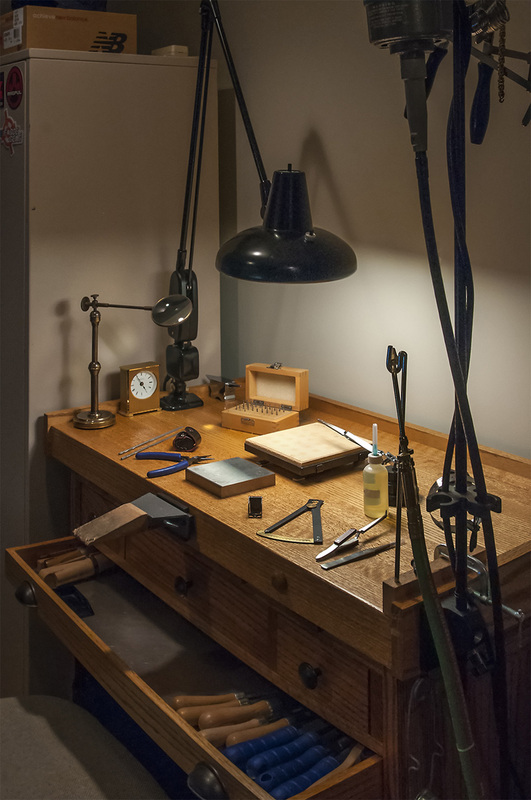 Watchmaker’s benches typically differ from jeweler’s benches in both function and design. 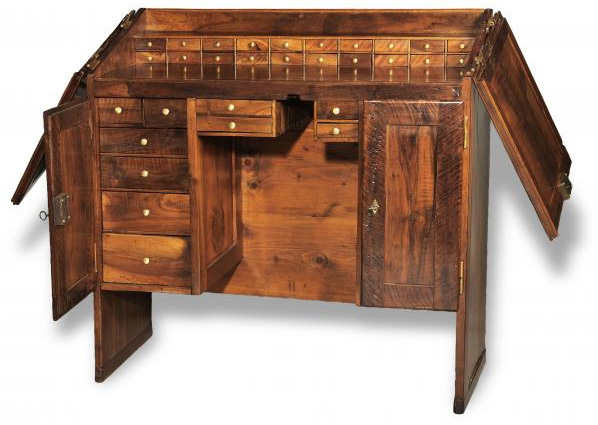 Generally forgoing the lap drawer, watchmaker’s benches are easily identified by the plentiful small drawers and cabinets for storing parts and tools. Earlier benches often had a foot treadle for powering the watchmaker’s lathe built right in. These were often magnificent pieces of furniture, with a charm and character unique to the profession. It was also common for them to have lockable enclosures such as hinged lids or roll tops to prevent opportunistic theft of valuable tools and materials. This is by no means a comprehensive or complete review of all the tools used by these craftsmen. In fact, I’ve barely scratched the surface. Clearly, woodworking tools hold a broader appeal, probably because the average person can better relate to their use. Tools of the jeweler, goldsmith, silversmith, engraver, and watchmaker tend to be viewed as a bit more exotic and intended for very specific, and often unfamiliar, uses to most people. I suppose that’s true, but only to a limited extent. I use many tools in woodworking that were designed for the jewelry bench, simply because they suit a particular need better than anything else available. Nevertheless, exotic or not, it’s easy to appreciate their form and function and place in the realm of fine hand craftsmanship.